Breast cancer is the second most common cancer among women in the UK, with over 50,000 cases diagnosed each year. For men, the yearly number is around 350. The causes of breast cancer are not fully understood. Once the abnormal cancer cells begin to develop, they can multiply rapidly, which is what causes the lump or mass. These cells can metastasize, infecting the lymph nodes or other organs in the body. Risk factors are often at play, but cases of breast cancer cannot always be attributed to the presence of risk factors. Women are far more likely to get breast cancer than men. 5-10% of breast cancer is linked to genetic gene mutations. 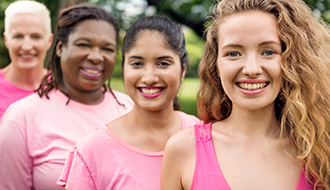 Age, family history of breast cancer, exposure to radiation, and early menarche (starting your periods below 12 years of age) are some common risk factors. Most breast lumps are benign, but they can be worrying. Call or use our online booking system to make an appointment to speak to one of our specialists if you notice anything out of the ordinary. 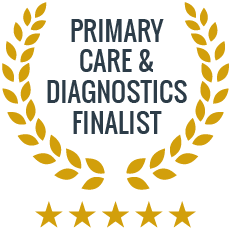 We can check any worrying symptoms, refer you for any necessary tests, and help give you peace of mind. Breast cancer is the second most common cancer in women in the UK. It is rare in men, but there are approximately 350 men diagnosed with this disease each year. Breast cancer is more common in women over 50. Some of these factors are, high breast density, not having children, not breast feeding, high alcohol intake, being overweight and lack of exercise. Should I start having regular mammograms? Your breast cancer risks change with age and depending on whether or not you have a family history of breast cancer. It is recommended that women begin having regular breast check-ups at the age of 40, with yearly mammograms recommended for women aged 45-54. If there are high risk factors, these recommendations may change.